CSH Hydrodiesel successfully delivered a CSH Hydrodiesel containerised Firepak 2400. The diesel driven fire water pump is designed to supply water at a flow rate up to 2400 m³/h at a total discharge pressure of 12,5 barg. It is fully self-supporting and capable of minimum 1 hour of autonomous running at maximum duty. 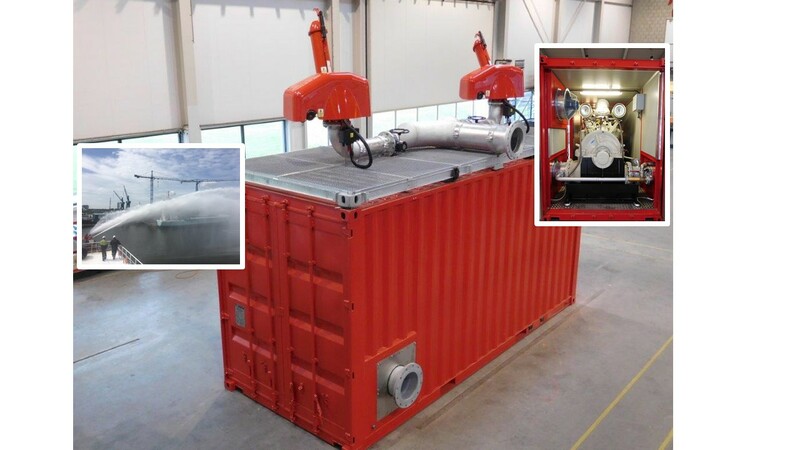 The containerised fire water pump will be installed on board of the Boskalis Constructor platform supply vessel (PSV) AHTS for a contract of 5 years in Dubai area. Compressor Systems Holland, YOUR CHALLENGE, OUR WORK !